Looking for a unique and practical gift to give away during birthdays, baby showers and baptisms? Why not make your own diaper cake? For birthdays, baby showers and baptisms, the baby celebrant usually gets predictable gifts—toys and clothing. Maybe due to our Filipino culture or etiquette, it's rare that guests give something more direct and practical to the parents like cash, milk or diapers. That's why as a gift suggestion, I highly recommend a diaper cake. Nothing could be more unique. It's big, beautiful and totally useful. Get noticed as the favorite aunt or godparent with your practical present looking like the centerpiece on the gift table. 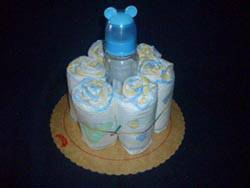 Below are instructions on how to make your own diaper cake gifts. 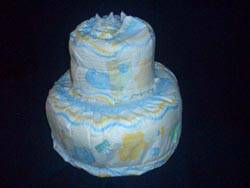 A diaper cake is a creative presentation of diapers and baby accessories put together to look like a multi-layered cake. It's so popular in the U.S. that hobbyists have formed clubs to share this creative passion for business or just for fun. In the Philippines, it started to get popular in 2005. Today, it is mostly available online through mompreneurs. 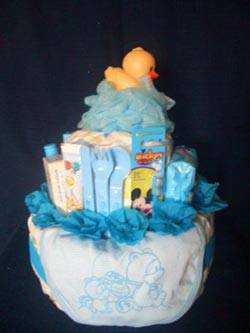 Diaper cakes have spun off into towel cakes, towel cupcakes, and even clothing cakes. You don't need to be an artist to make one, just have an "eye for beauty". Materials needed are not costly at all. 1. Roll the diapers and keep each roll together with a rubber band. 2. Tape the bottom of the bottle to the center of the cake board. The bottle will serve as the “post” and keep the layers stable. 3. Tie lots of rolled diapers around the bottle with a rubber band and wrap with two open diapers. Secure with a nylon string. 4. 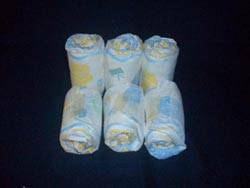 Do the same with the rest of the rolled diapers, creating a smaller second tier. 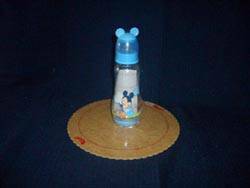 Cover the top of the bottle, wrapping one open diaper around it. Secure with tape and nylon string. 5. Jazz it up. Now, this is the best part. Decorate the diaper with accessories like ribbons, lace, etc. My favorite part of the process is topping the cake with a body scrub and a rubber duckie so that it looks like a bird on a nest. 6. Wrap the whole cake with cellophane and tadaahhh! It's ready to be shown off. or cake diapers by Laguna Mom Janice Llaneta of www.cakediaper.multiply.com and online gift order sites like www.pinoygifts.com. 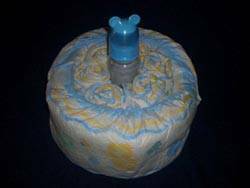 So, now that you now know how to make your own diaper cake gift, you can bring something unique for the celebrant. 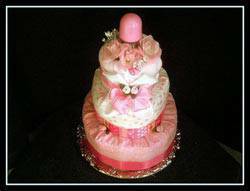 If you want a fancier diaper cake, don’t hesitate to order one online. Note: Images for this article are from the author, originally shared in the Smart Parenting forum. Please note that the author is not in the diaper cake business. She likes making her own diaper cakes as gifts for baptisms, baby showers or birthdays. 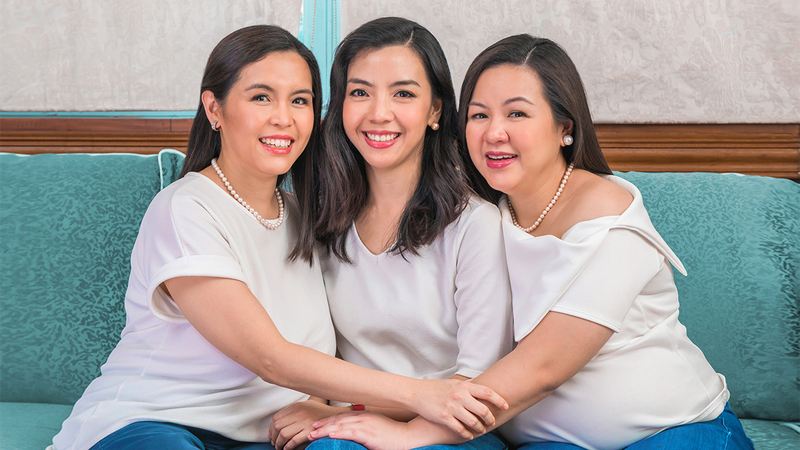 Images from Kat Lopez’ and Janice Llaneta's multiply sites are used with permission by the author.